The video was shot on Monday in Hangzhou, East China's Zhejiang province, and began going viral Wednesday. The daughter has been revealed to be Niuniu, a well-known child model, who was kicked because she was allegedly "too tired to perform". 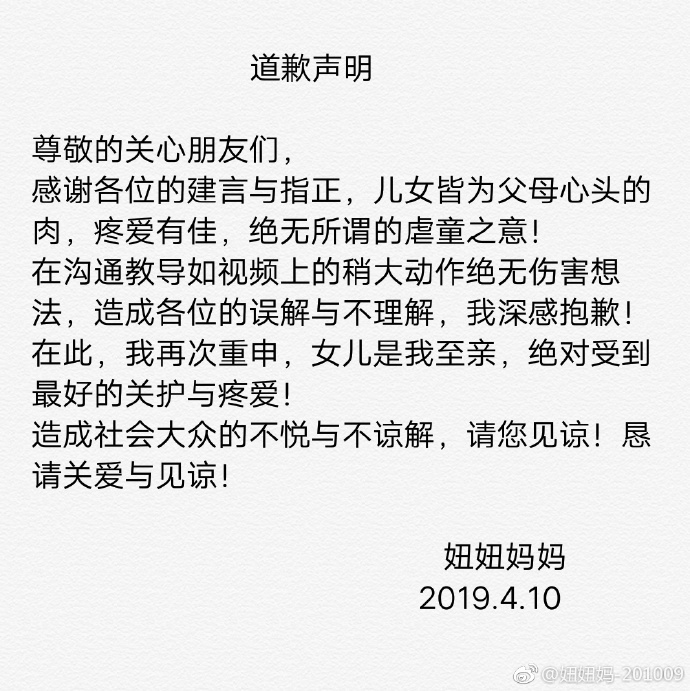 The mother on Monday afternoon issued an apology on Twitter-like platform Sina Weibo and defended herself in several media interviews. Most netizens however were not convinced, with one saying, "There is no street in front of Niuniu but just a wall." Two more clips later circulated online and exacerbated the situation. One shot in March shows Niuniu's mum beating her with a hanger and shouting, "Concentrate your energy". This video was allegedly filmed at around 10 pm, when Niuniu had already worked for most of the day. More than 110 children’s clothing shops on Taobao, a Chinese online shopping platform, have united together to call for better regulation of the child modeling industry and greater protection for child models.